Phenomenally beautiful day (sixty-one degrees at 3:20)!! I spent hours on my patio and in my backyard. 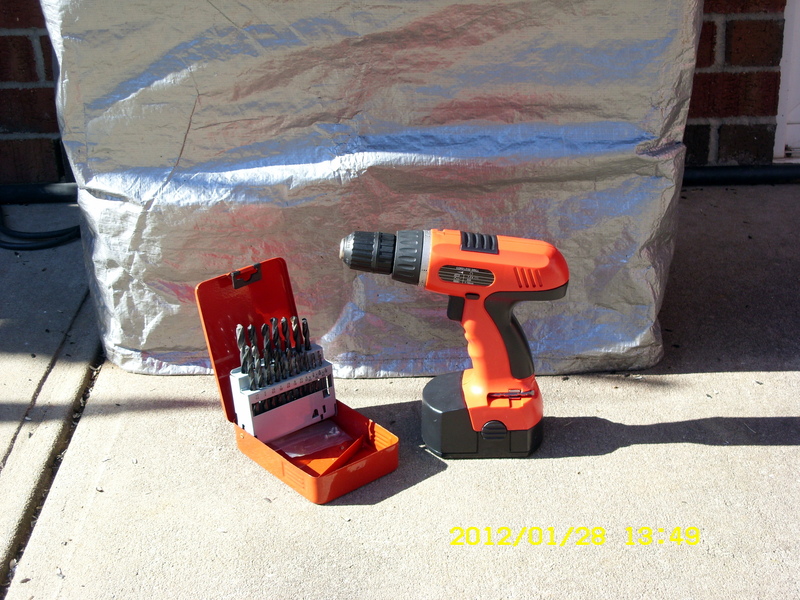 First I retrieved my drill from the storage shed and put it on the charger. 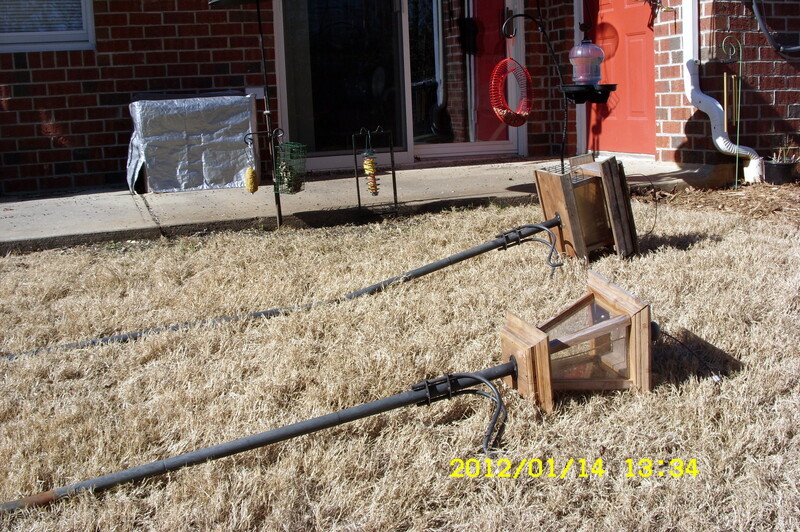 Then I used a screwdriver to unscrewed the old, old bird feeders from the wrought-iron posts. 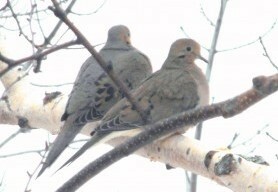 I changed my mind about painting them thinking the birds might be sensitive to the odor of paint. 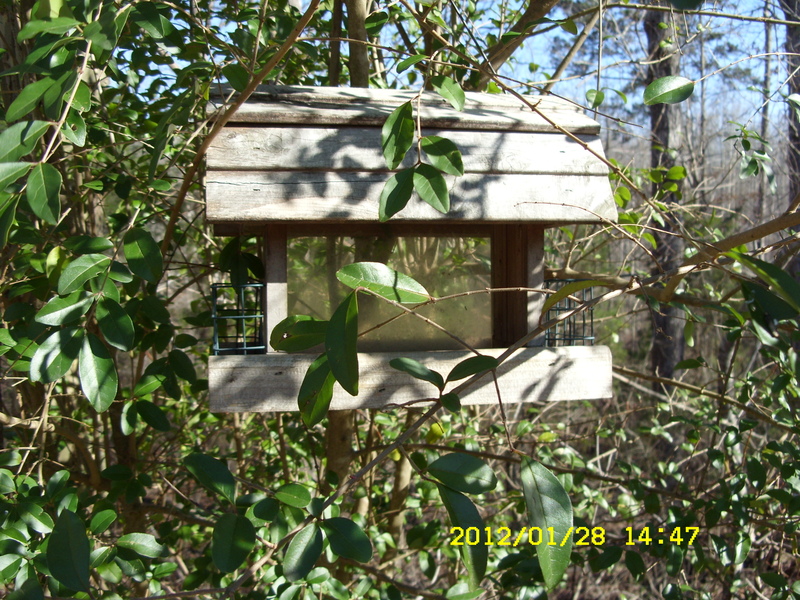 I removed a clear plastic “wall” and hung one old, old feeder high in a green bush. 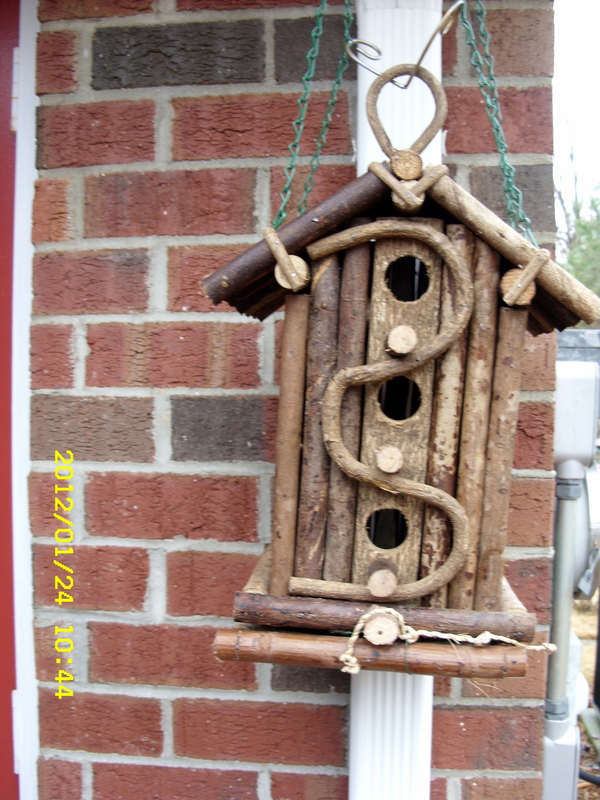 I hope the birds will use it for a nest. 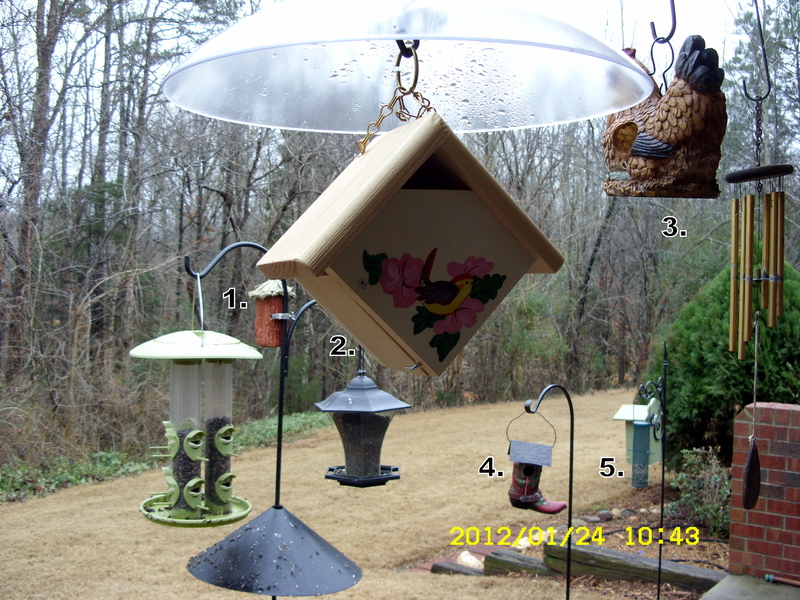 The second old, old feeder was altered so a bird can enter at the top (because I couldn’t remove a plastic “wall”). 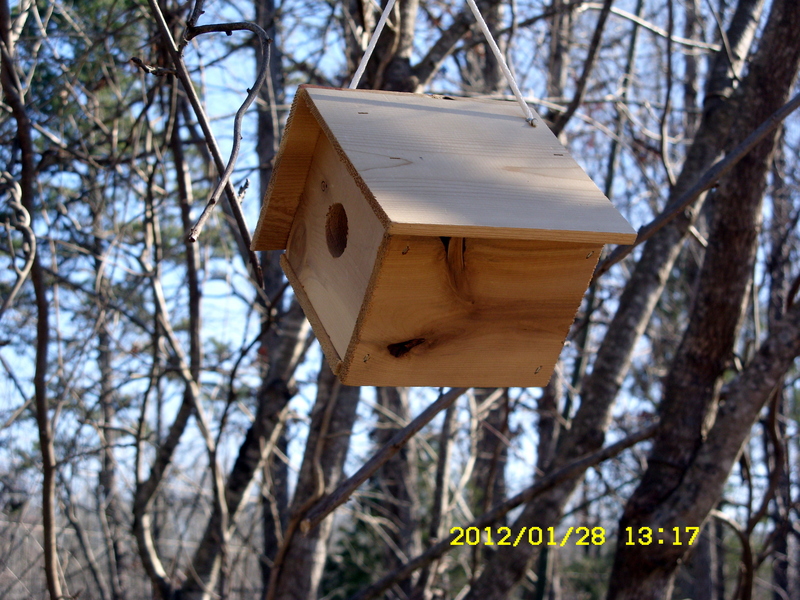 I selected a location under the eave of the roof. 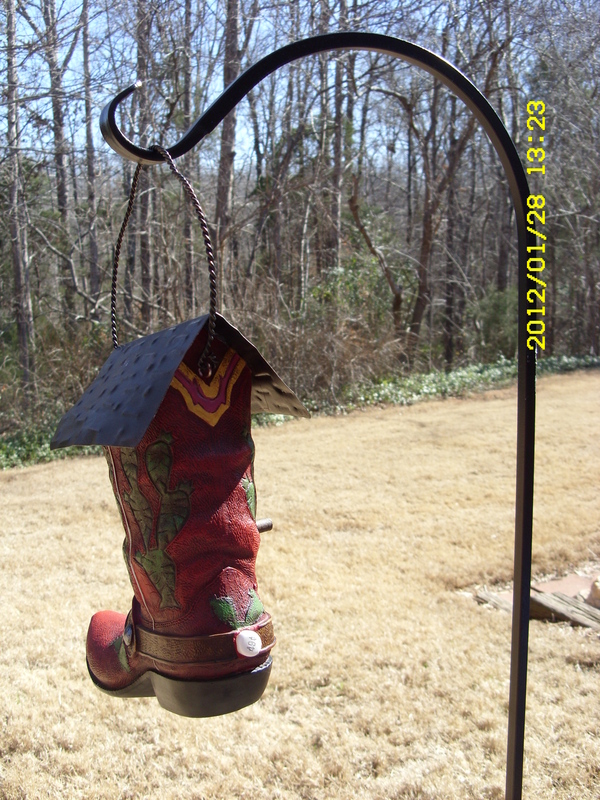 I plugged holes in the Chicken bird house, and Cowboy Boot bird house (remember they were clearance items at Hobby Lobby). 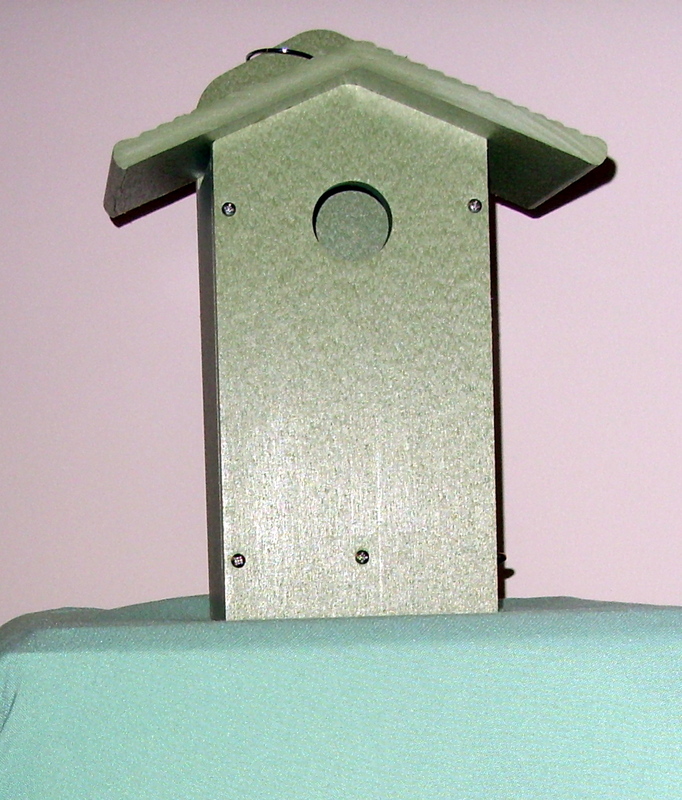 I drilled a larger hole in the Blue Bird house so I could attach sturdy hardware and secure the bird house to the wrought-iron post. 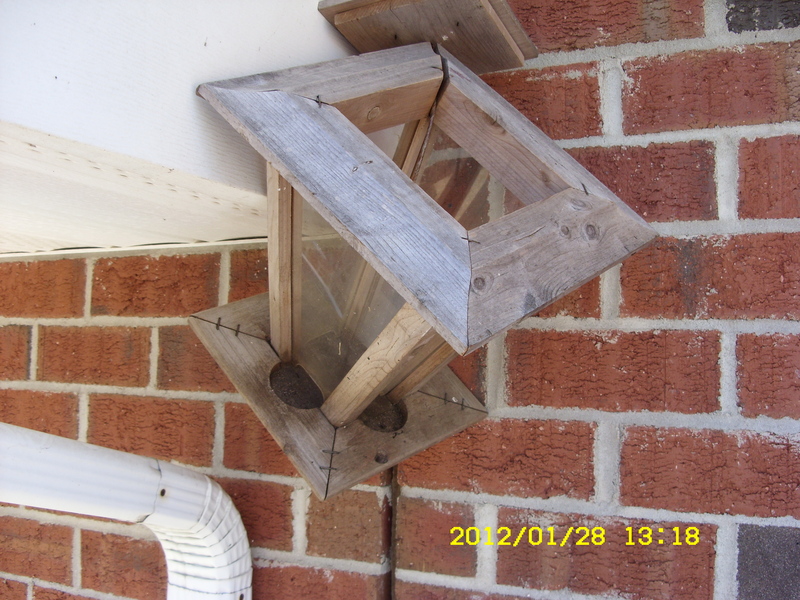 I drilled a hole in the flashing so I could hang a Hummingbird feeder. 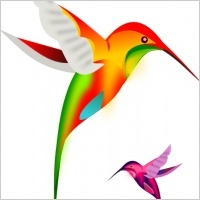 ~~ Yes, it is “too early” for Hummingbirds but I want to be prepared!! 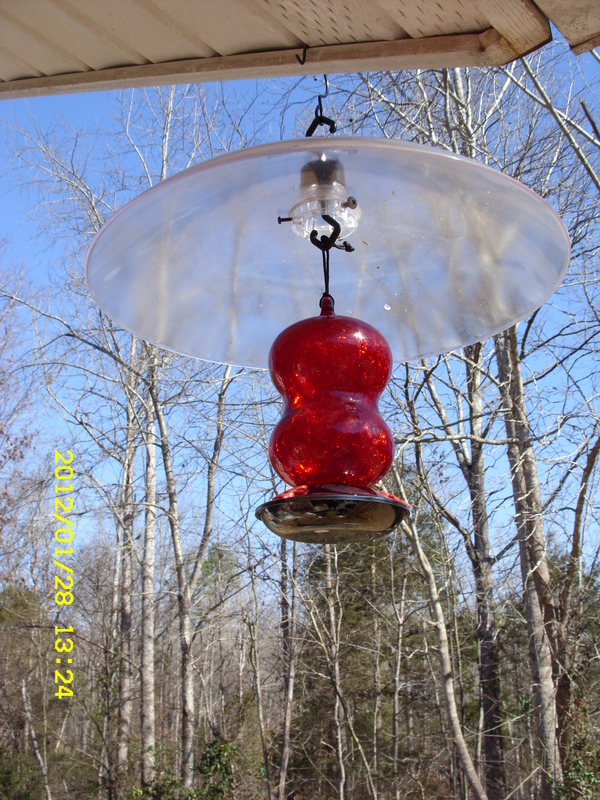 No nectar in the two Hummingbird feeders yet. 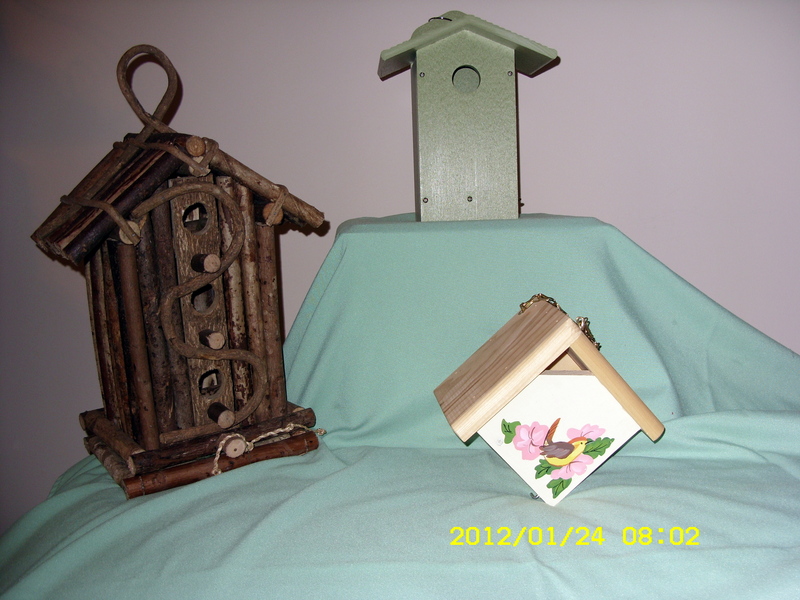 Yes, it is “too early” for the birds to build a nest but I want to be prepared!! 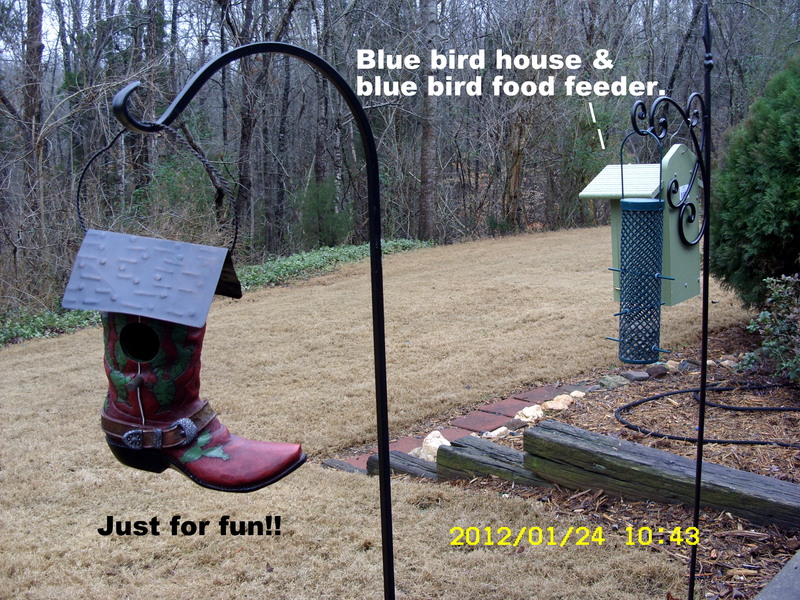 ~~ Statistics: Two Hummingbird feeders, nine “other” bird feeders, eight bird houses and two “maybe” bird houses. ~~ Click on the pictures to enlarge them for better viewing. The Challenger Space Shuttle tragedy occurred twenty-five years ago today. I was there (in a manner of speaking). I was working for NASA, as secretary to the Project Director, at Edwards Air Force Base in Southern California. The media no longer covered the launches (rather commonplace) but we were watching on NASA closed-circuit TV. The Director’s office was full of employees; I was sitting at my desk and could see the TV through the open door. We were stunned!! I remember it vividly!! 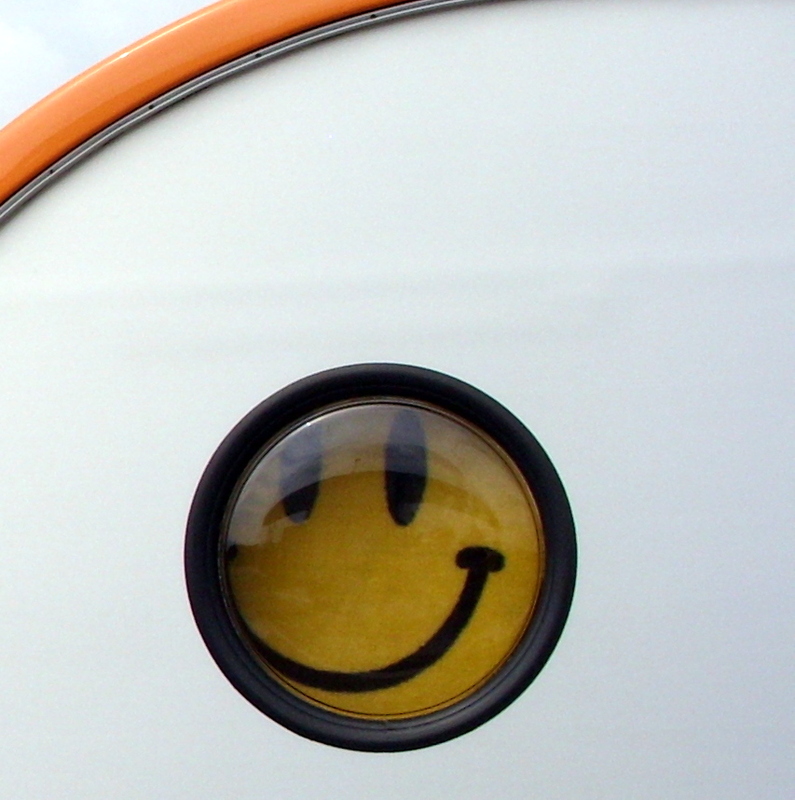 Why I use Smiley faces on my blog: I’ve been collecting Smiley Faces for decades!! 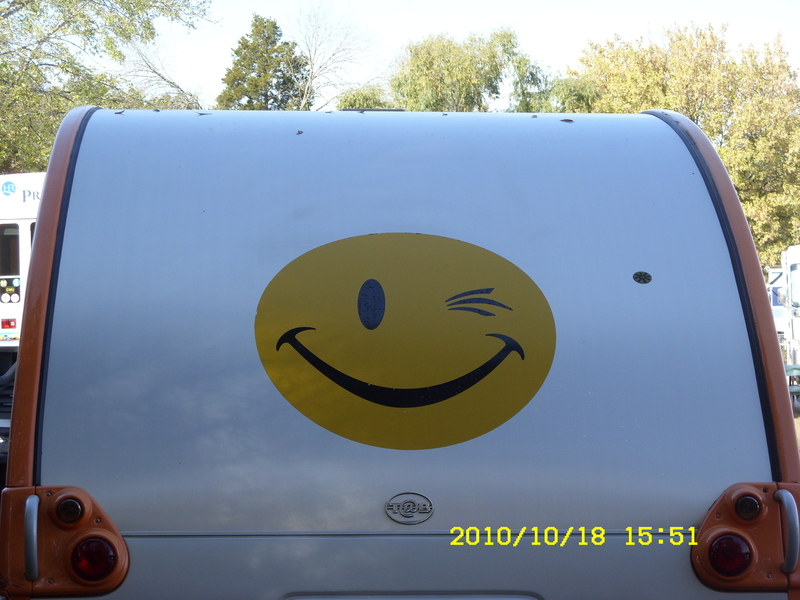 I like Smiley Faces!! I have key chains and stuffed toys. I didn’t buy the T@B because it had a Smiley Face on the back. However, that was confirmation it was supposed to be mine. 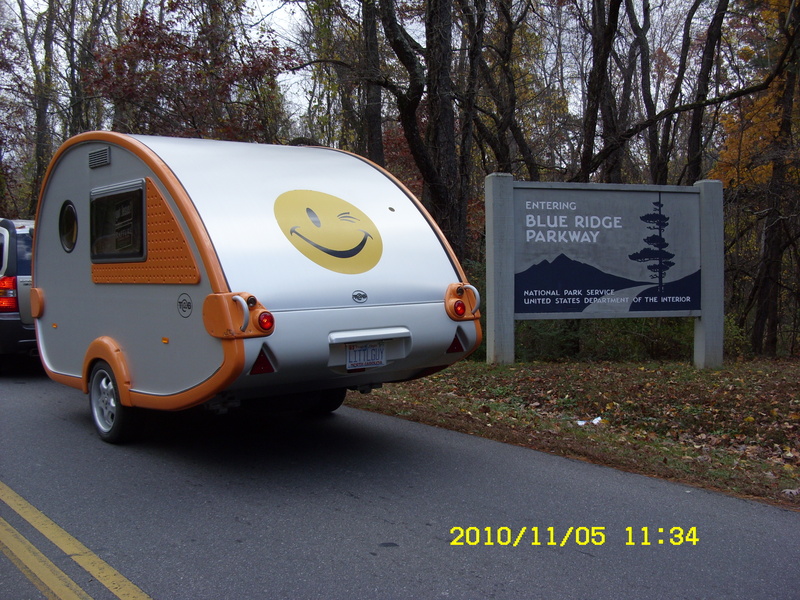 I love my T@B tiny teardrop trailer!! 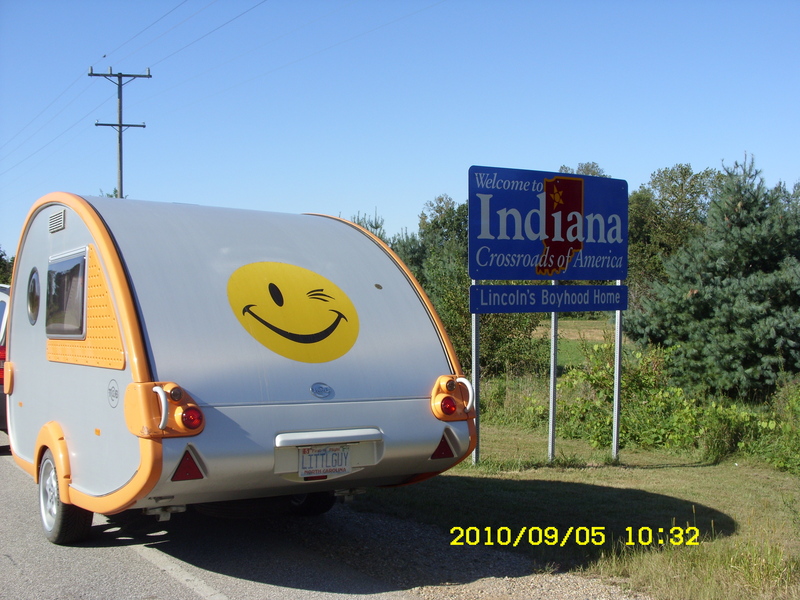 Check my Tab Teardrop Travels blog for details of my 9000 mile trip. Voted the BEST commercial ever! As mentioned in earlier blogs, I’m working to improve my health. Not in my backyard !! 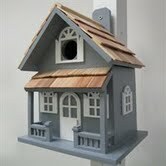 This afternoon I frittered away some time searching the web for birdhouses. The choices are limited in the local stores. I nearly had a heart attack when I saw the prices. I chose three that I think are attractive and I’ve posted them here with their prices. Left to right, first: $459.00; second: $343.00; third: $224.00. I can afford the fourth because only $28.00 but it may be poorly built. 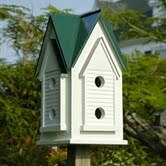 My trip on the Internet gave me a greater appreciation of the obviously reasonable prices for the several birdhouses purchased on Monday. 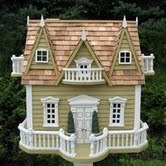 I found this cute little travel trailer bird house and will be ordering it soon. 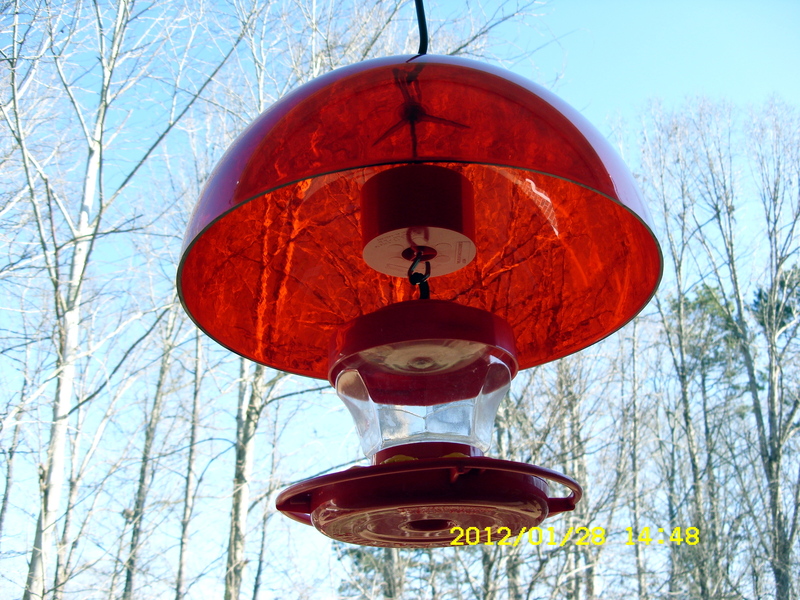 Gone bonkers–for the birds!! 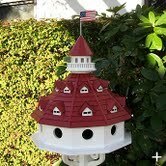 Yesterday I purchased bird houses (and more bird feed). 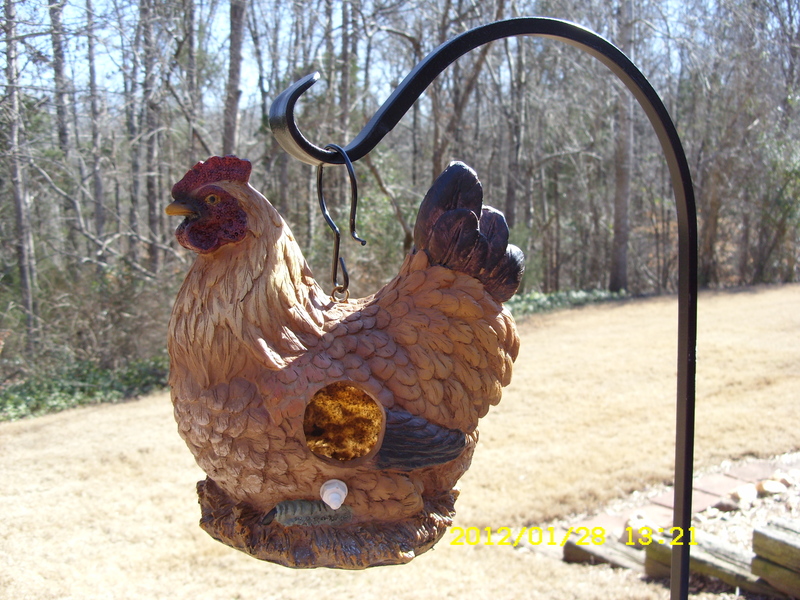 I learned (from retailers) that it is not “too early” to hang bird houses. ~~ $30. for the one made from Branches, from World Market; $37. 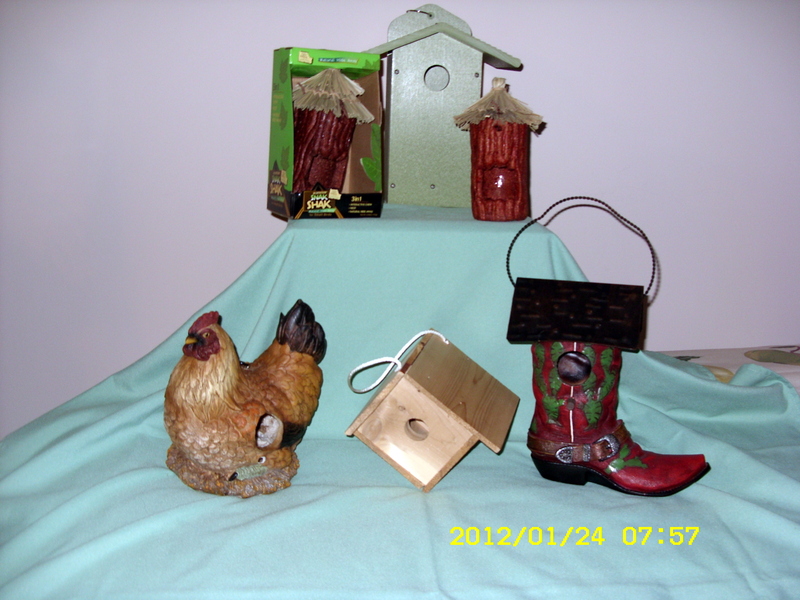 for the “made in America” recycled plastic (green) Blue bird house; Chicken, and Boot, less than $20. each because clearance items at Hobby Lobby; $5. 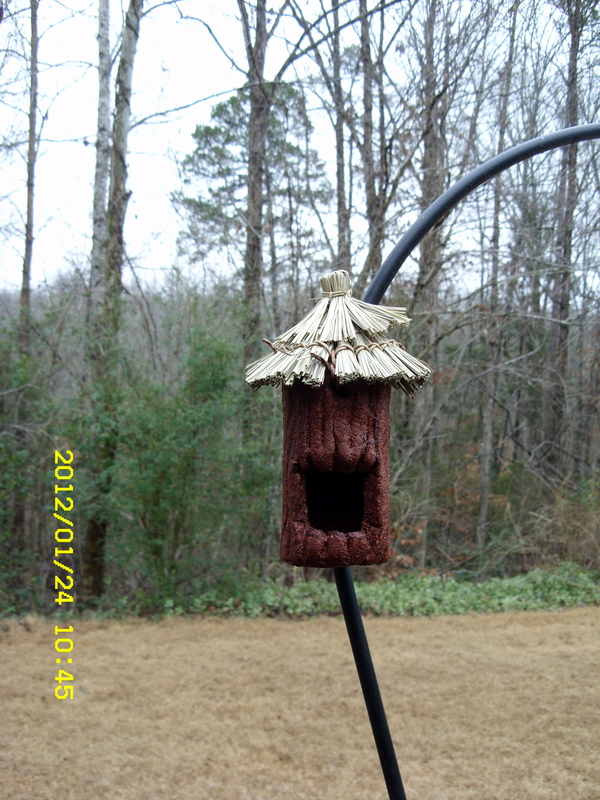 each for the “edible” thatched-roof birdhouses from Ollie’s. 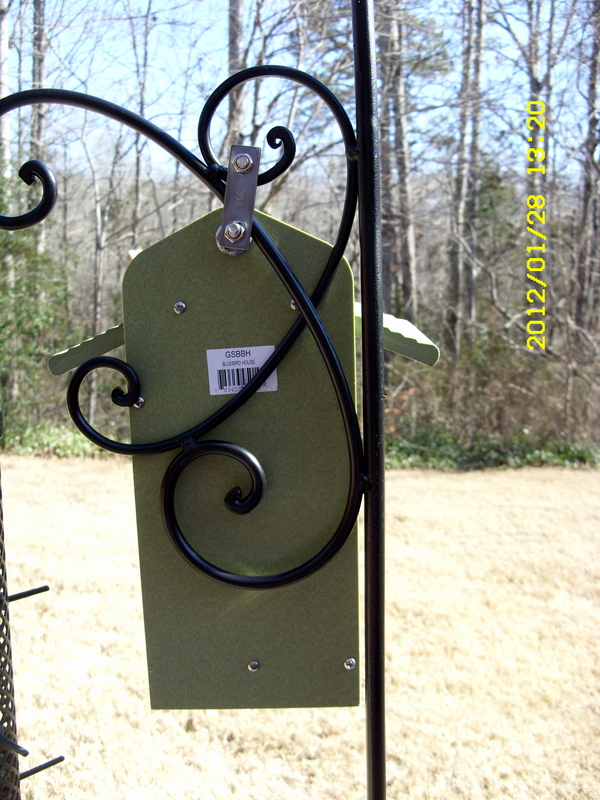 ~~ Yes, two new Shepherd’s hooks (“on sale” Spring merchandise at Hobby Lobby)!! 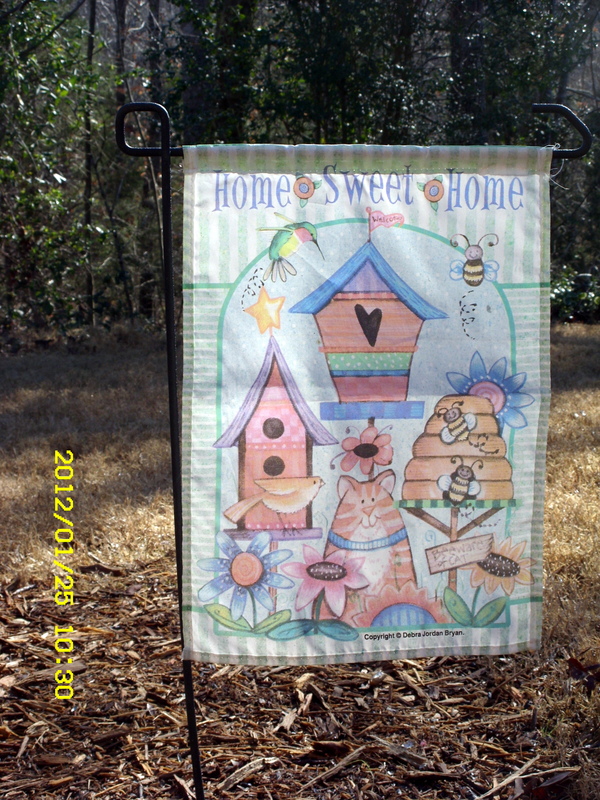 Postscript, Feb. 3, 2012: I just discovered Garden Ridge and bought more items for my backyard. 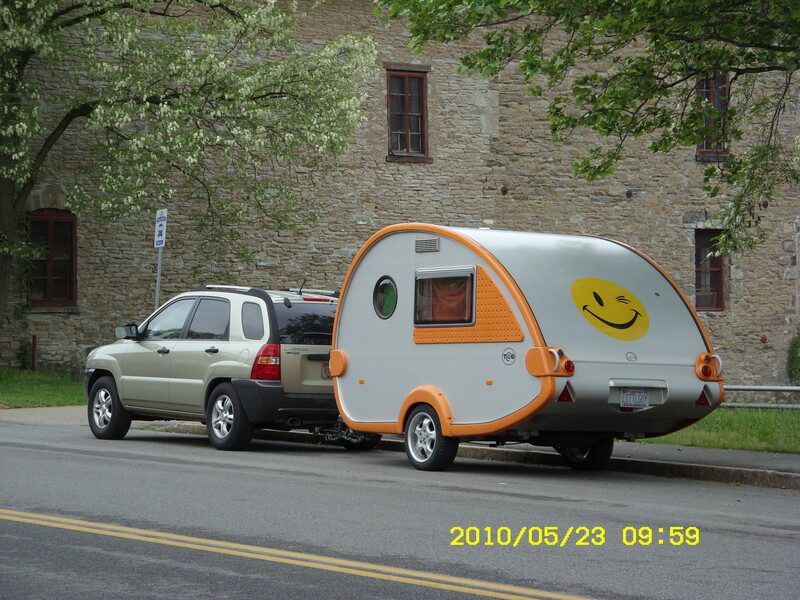 Hey, I can afford their merchandise!! 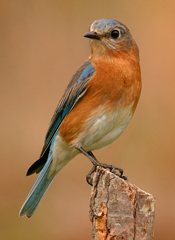 I was watching Public Broadcasting, Celtic Thunder Heritage, and heard this adorable, humorous song. I had to share it with you. Some just clap their hands, or paws, or anything they’ve got now!